Light and fluffy scones bursting with plump, tart cherries perfect for breakfast or an afternoon snack! Today I am really excited to be posting at Anyonita Nibbles! I'm a new Monthly Contributor over there and am so happy to be part of Anyonita's team! 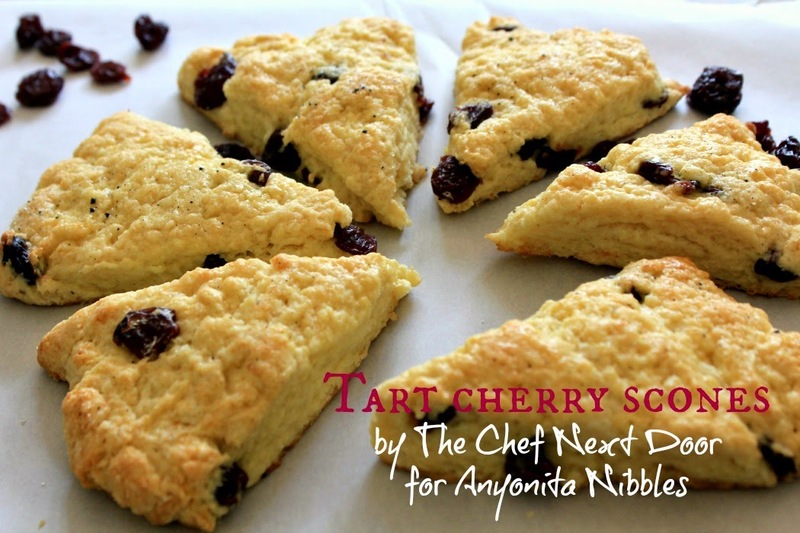 These Tart Cherry Scones are light, fluffy, and bursting with little cherry jewels. Head on over to Anyonita Nibbles to read my first post and grab the recipe! I'm also submitting this delicious scone recipe to The Great Denby Cake Off competition! 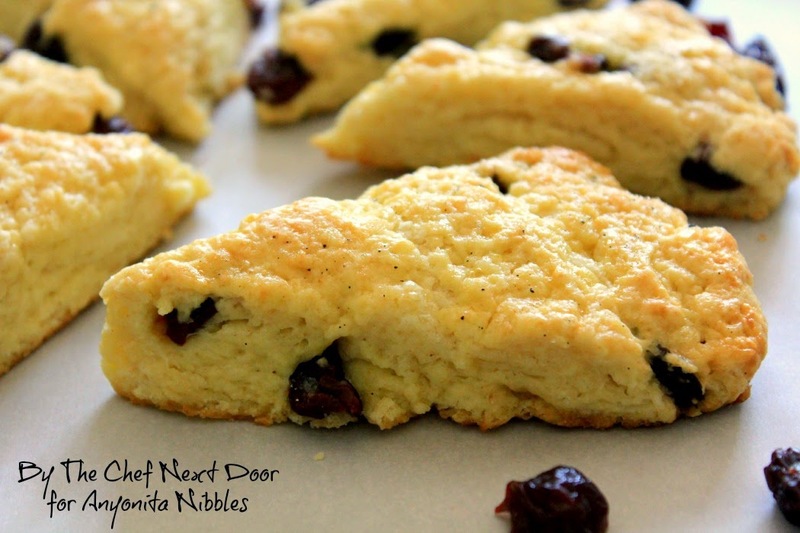 They are looking for the perfect afternoon tea delight, and I think these scones are just that.